Do you feel hopeless? Are you struggling with inner fears? Do you feel like giving up? The body of Christ is suffering with issues of the heart in many ways. Many persons walk around with their head down in guilt and shame because of the harsh reality of the effects of their past on their lives. Others wear a mask, trying to cover things up with a smile while their inside cries out earnestly for help as the hurts and pain of their past lingers. Their past has buried its imprints in their life. It is never always easy to forgive someone that cost you pain, or to step out in confidence after a broken relationship. It’s never easy to move pass the memories that haunt you, but with God it can be done. Every person created here on earth is designed & destined for unique purpose. Before purpose can be identified & fulfilled, our hearts need to be healed & our minds renewed. 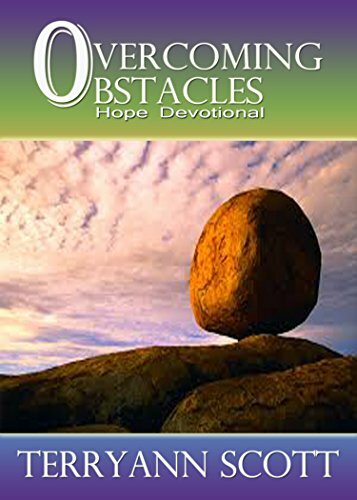 Overcoming Obstacles is an Inner Healing Devotional that offers hope and encourages spiritual healing in practical ways that leads to healing for the total man. It consists of fifteen devotionals that may be used as a foundational guide in overcoming the residue of the past that lingers. This devotional offers hope for today and strength for tomorrow as the journey towards a brighter future begins.